Get a real summer bargain – shipznet approved full managed LTE-A service is now available for remarkable low rates! Starting at 1GB world-wide package for just 89€ per month – including hardware and support. Select out of 130 countries, different data-volumes and accessories for a tailored fit – build your own tariff. Benefit from a product optimized for maritime deployments – made in Germany. No roaming issues, no billing hassle with providers, no repairs or equipment administration. Prevent investments into capital assets by a contractual rental agreement – with just one monthly fee. It´s time to set a new course! The verity of GSM devices and services in the market is ample, but what are the differences? A key value which makes a difference is operating in maritime fields – it has and will always be difficult compared to many other work environments – shipznet is designed to be on board. 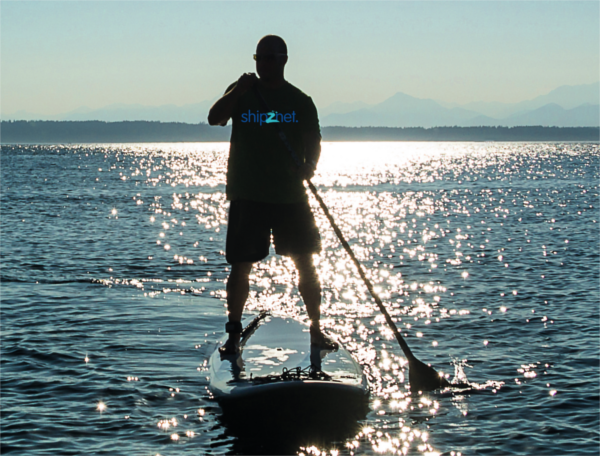 Seawater resistant hardware sets, paired with flexible options. Select out of 130 countries, different data-volumes and accessories for a tailored fit – build your own tariff. No roaming issues, no billing difficulties with providers, no repairs or equipment administration. Prevent investments of capital assets through a contractual rental agreement for shipznet hardware, data package and support – with just one monthly fee. 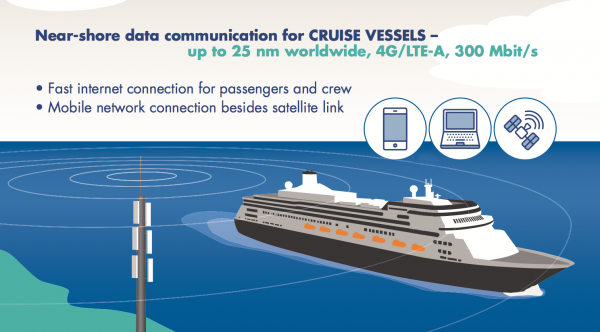 Less latency and more flexibility are the key values provided by shipznet – cruising on the baltic sea, tested on TT-Line ferries. Data hungry applications and services can be managed without worries. 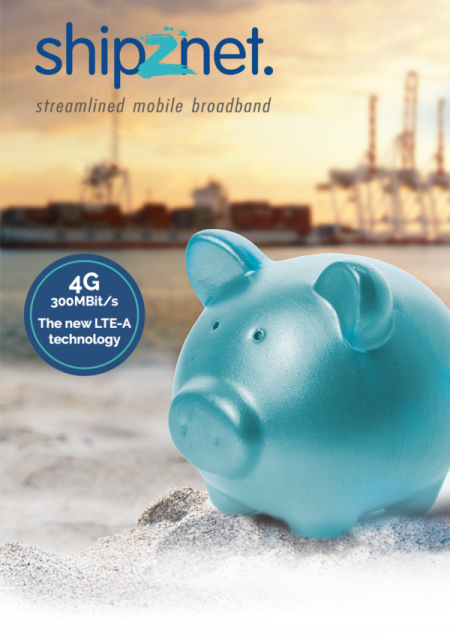 Traveling frequently in near shore areas creates the perfect environment for this 4G mobile broadband solution. With much lower rates and tremendous speed – shipznet mobile communication is far ahead compared to unreliable and cost intense satellite connections. 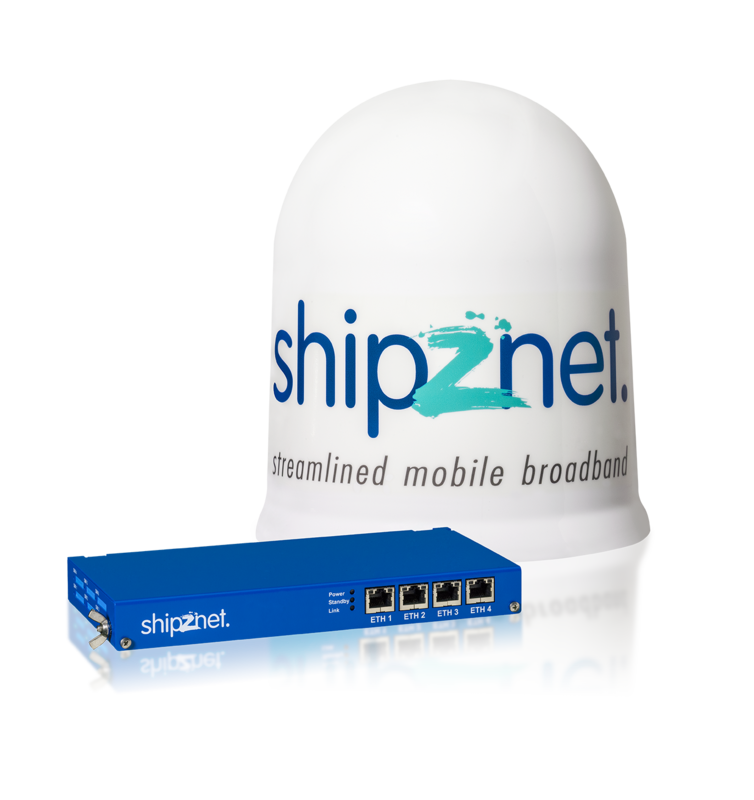 We are proud to present our new shipznet generation using 4G with LTE-A technology and data rates up to 300 Mbit/s. 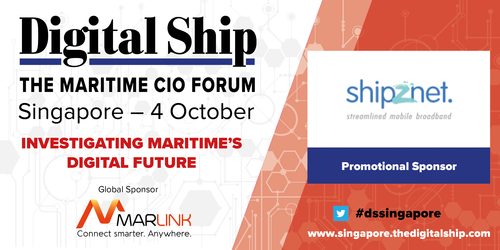 Visit shipznet at the Maritime CIO Forum in Singapore and experience hard- and software, including our newly designed high performance radome-antenna. We are looking forward meeting with you in person. 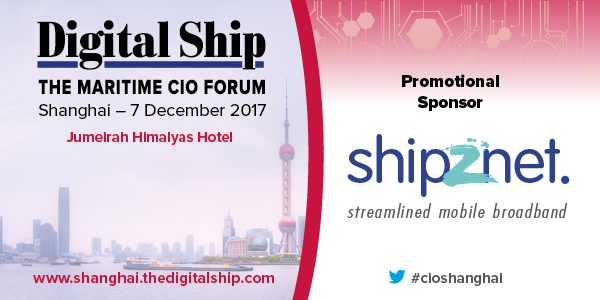 shipznet joins again the international Maritime CIO Forum, this time in Tokyo. Experts from all over the world take the opportunity to debate, network or speak in this unique forum. Headlines are: The Maritime Satcom Summit – Harnessing Maritime Cyber Resilience – The Big Data Revolution. The technical head and developer of shipznet Mr. Heiko Bobzin is going to use this opportunity to travel to Japan. As one of the managing directors, of bobz GmbH with decades of experience as a developer for modern mobile communication technology, he is a valuable guest in the forum. The importance of data is frequently reaching higher levels. A fact most people became aware of in the last years, because everything around them became smart. We have smart phones, watches, houses, cars, but what about merchant marine vessels? The industry seems to wake up now and to realize the challenge which has to be taken. Demands for data in the marine communication will increase dramatically in the future and the communication ways to vessels have alway been rare and expensive. 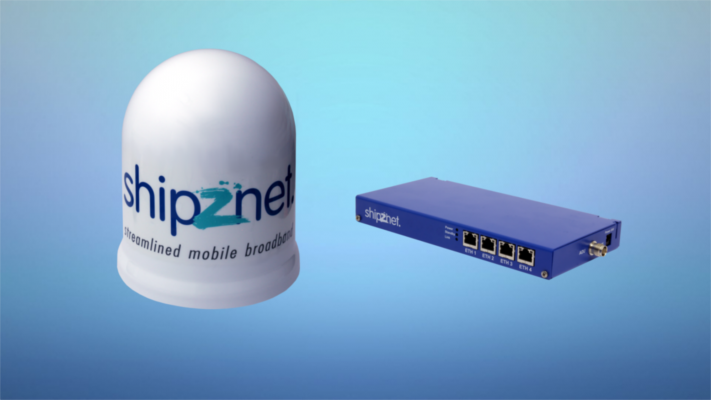 With shipznet the company bobz GmbH provides one way to ensure effective high-speed data connection for merchant marine vessels. We want to establish this way with the latest technical features and as secure as possible for our customers. Meetings like the CIO Forum in Tokyo are important and necessary for the industry, for experts to prepare for the challenge. We are looking forward to Tokyo with excitement, on the 30th of August.